This is an "Adults Only" deck with sexually explicit imagery. 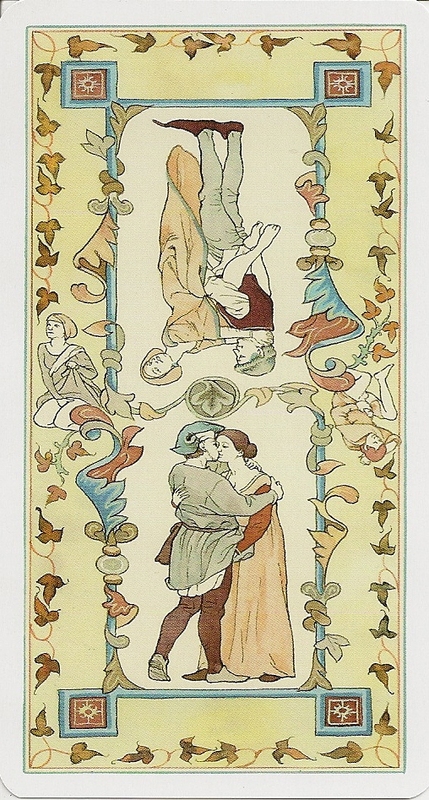 The images do not specifically match scenes from Boccacio's Decameron (written ca 1350). Rather they illustrate the milieu of the time. 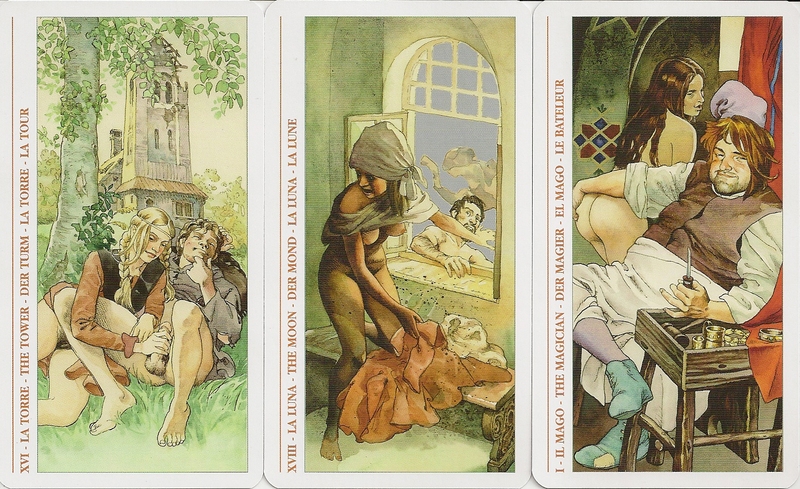 The major arcana were first published 1993 by Ideogramma Arte Editoriale in an edition limited to 300 copies. 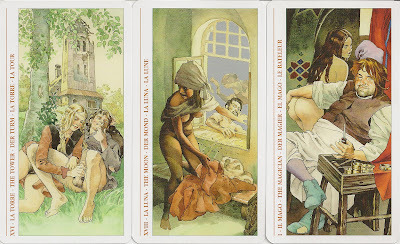 In 2003 Lo Scarabeo printed an unlimited edition of all 78 cards.